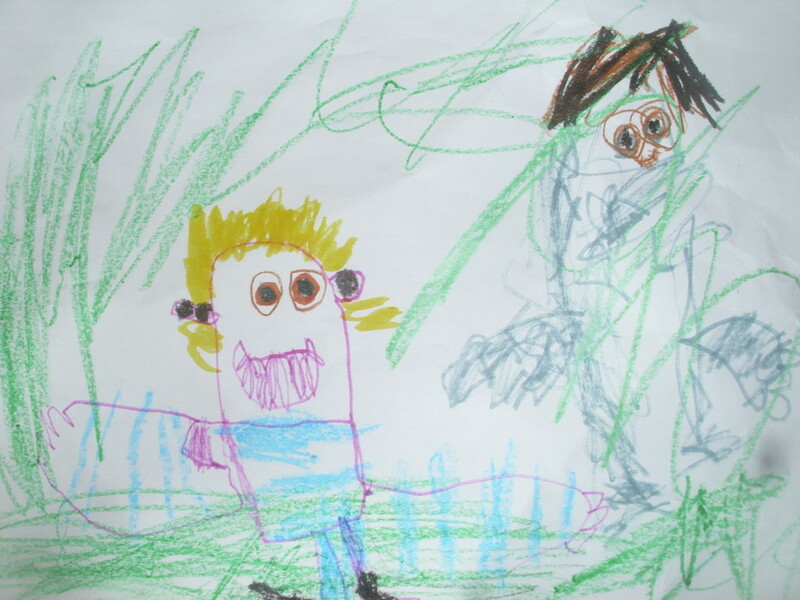 This is Andrew and Daddy at the grassy hill. Dad likes to take me there. There we play baseball, chess, the old farm, and tag. It is a lot of fun there. If you come to visit, we'll show you the grassy hill. I'll play with you there. Great blog post Andrew! 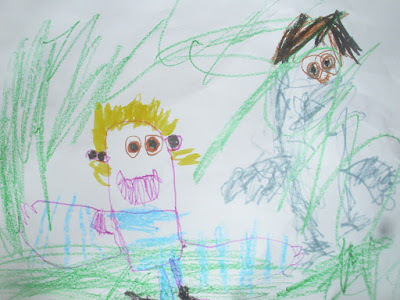 I love your drawing and can't wait to go to the grassy hill with you! Grandpa Jeff and I are looking forward to going to the grassy hill with you, too!